Serving Zagat Survey-worthy cuisine and postcard views, these snow country restaurants invite you to pull up a chair and eat yourself silly. From entrées such as Pecan Crusted Elk Tenderloin and Sea Bass with Manila Clams, Apple Cider and Chili Braised Beef Short Ribs, Crab Stuffed Rocky Mountain Trout, Vegetable Napoleon and Lobster Risotto, be prepared to be satiated at a higher altitude. 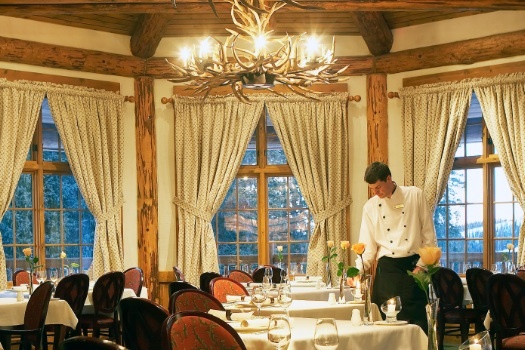 At the top of the gondola Telluride’s flagship restaurant offers a memorable dining experience. Welcomed by General Manager Mario Petillo, patrons look forward to an extraordinary evening. 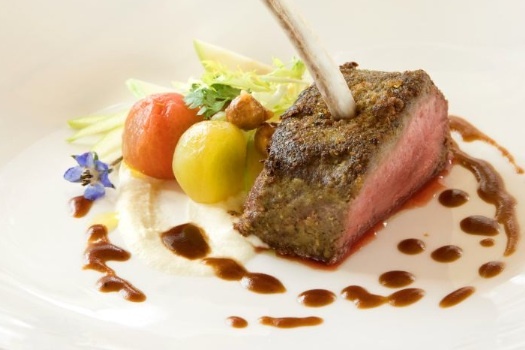 A menu inspired by Chef Mike Regrut features delectable elk, lamb, steak, and seafood entrees, as well as fresh local vegetables, salads and a wonderful wine selection. Dinner served nightly. 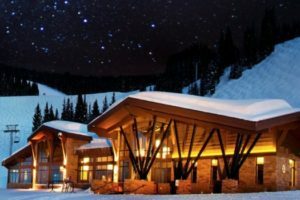 At an altitude of 11,444 feet, the Alpenglow Stube (pronounced STEW-bay) is North America’s highest AAA Four-Diamond fine dining experience. Draped with a lap blanket, guests arrive via a pair of über fast gondola rides. The menu features a choice of four- or seven-course dinners focused on Colorado and contemporary cuisine with Bavarian accents. Dining is offered Thursday – Sunday. 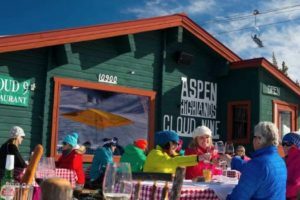 The highest elevation fine-dining restaurant in North America at 11,966 feet, Alpino Vino is reminiscent of intimate restaurants found throughout the Dolomites of Northern Italy. Traveling by heated snow coach guests are awed by views of the Wilson Range and then enjoy a five-course Italian-themed menu along with the warmth of a wood-burning fireplace. Dinner served Wednesday – Saturday. Hidden amongst aspens and evergreens at the base of Larkspur Bowl, Beano’s Cabin satisfies with AAA Four Diamond Award, DiRoNA award and the Wine Spectator Award of Excellence dishes. 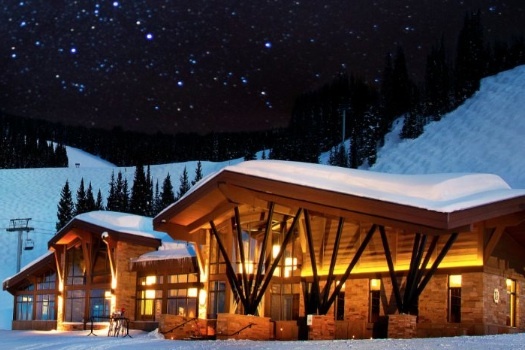 Accessible via skis, snowboard or snowcat-drawn sleigh, the restaurant features three- and five-course prix fixe dinners in a “Jeremiah-Johnson-meets-Ralph-Lauren” log cabin. Dinner is served Thursday – Sunday. A most aptly named restaurant, Cloud Nine Bistro is an intimate, Euro-style bistro with ski-in/ski-out table service for lunch or dinners on most Wednesday and Thursday evenings. 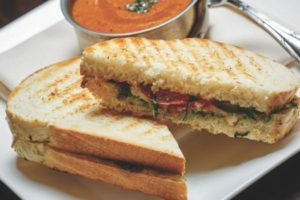 The hearty European-style fare might include Raclette or Fondue, Duck Confit, Black Truffle Gnocchi, or Bouillabaisse. After 1:30pm, champagne bottles begin popping, the music volume increases, and a lively dance party takes over the cabin. Also open for private dinner parties. Couloir, Jackson Hole’s most unique dining experience, is located at the summit of the Bridger Gondola at 9,095 feet. Named on the Condé Nast Hot Tables List, its seasonal menu features American cuisine with Rocky Mountain roots. The Wine Spectator award- acknowledged Executive Chef Wes Hamilton, who also offers Chef’s Table dining for parties up to six, helms the eatery. Dinner served Thursday, Friday and select holidays. 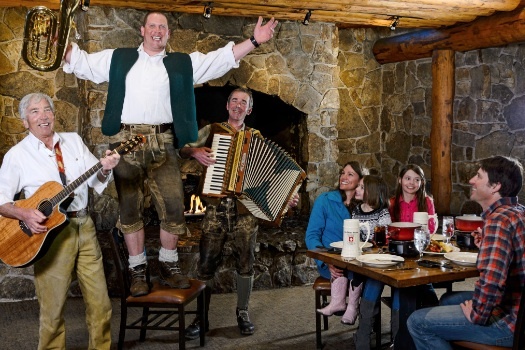 A decidedly Bavarian vibe characterizes Der Fondue Chessel, which sits atop North Peak. After a pair of gondola rides, guests gather round the tables to perhaps start the evening with a traditional Swiss Cheese fondue—a blend of Gruyère and Emmentaler cheeses mixed with a little white wine and kirschwasser. Meats, veggies, bread cubes, crisp apples add to the dipping fun. Dinner offered Wednesday – Saturday. Nestled in Game Creek Bowl, this dining destination is reached via skiing or snowboarding down Ouzo or by snowcat from the top of the Eagle Bahn Gondola. Once inside, guests cozy up to the fireplace before venturing into the Mount Jackson Room. A fusion of American-French cuisine with regional and seasonal ingredients awaits patrons. Open for dinner Tuesday – Saturday. 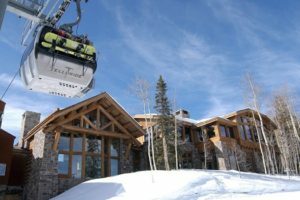 Enjoying a short gondola ride from the base, guests are treated to the best views in the Yampa Valley before reaching the summit and entering Hazie’s where the views are equally stunning. 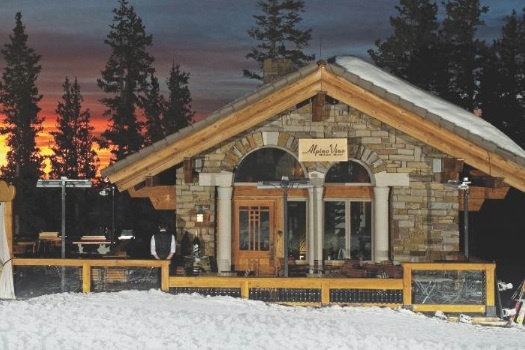 The restaurant, named after Hazel Mae Werner, Olympian Buddy Werner’s mom, features an a la carte menu with culinary delights such as a Blue Cheese Crusted Filet of Beef and Macadamia Nut Crusted Halibut. Open Wednesday – Saturday. Grilled cheese at Alpino Vino, Telluride. 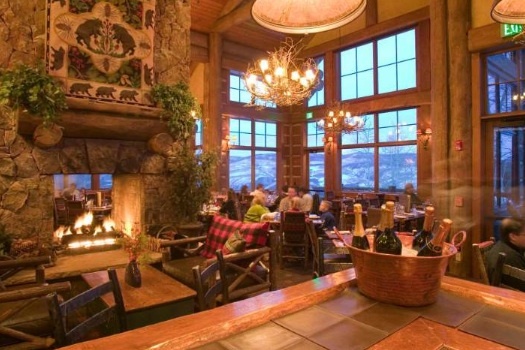 Board the Zephyr Express gondola and your next stop is this award-winning restaurant, whose stone hearth fireplace acts as a magnet. The culinary astute have been seeking its five-course dinners for years along with an excellent wine selection. Elk Tournedos, Steelhead Trout, Colorado lamb, fondue and vegetarian fare tempt patrons. Open for dinner Friday and Saturday evenings and select holidays. Traveling to the cabin by snowcat, up to 60 patrons can enjoy an exquisite, four-course dinner that kicks off with a basket of fresh baked breads and muffins. Menu choices might feature steak, trout, lamb or duck, and one of the tastiest treats is the live bluegrass and Celtic music played by local musicians. Reservations for the Monday, Tuesday, Thursday and Friday seatings are required. Built in 1967 as the Summit Terminal the original Peak Lodge was positioned to serve up panoramic views of the Green, White, and Adirondack Mountains. Able to accommodate up to 300 guests for special event/occasion dining, the restaurant is accessed via the K-1 Express Gondola. Expect cuisine crafted with robust flavors and healthy mountain living in mind. 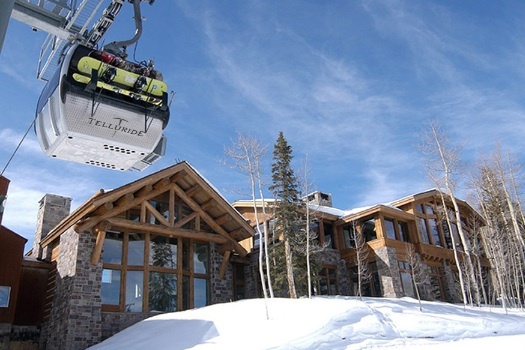 Arriving by a luxury heated snowcat guests look forward to a gourmet dining adventure at 9,600 feet. A delicious four-course dining experience awaits at Parallax, the private dining room at McCoy Station. Start your ride with a glass of champagne followed by a Chef’s Table dinner perhaps comprised of Mussels in Cioppino Broth, Colorado Lamb Chop or Red Elk Loin. Seatings available Friday, Saturday and during holidays. Ragnar’s, named in honor of ski jumper Ragnar Omtvedt, is fabelaktig (Norwegian for fabulous). Guests ride the gondola to the summit before traveling by a snowcat-drawn sleigh to this Scandinavian chalet in the woods. Tout de Mer, seafood wrapped in a pastry shell, Pomegranate Duck Breast and Herb Grilled Venison are a few of the temptations. Dinner is offered Thursday – Saturday. Since 1939 the Roundhouse has been serving delicious meals, soul-warming drinks and stunning views from Mount Baldy. 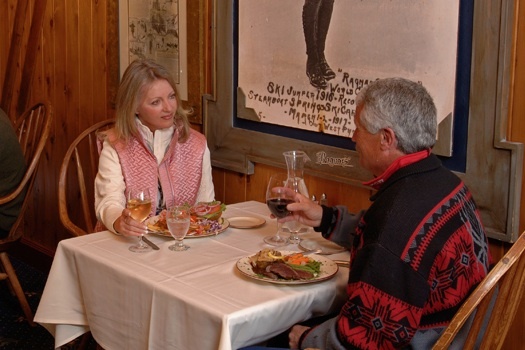 After riding the Gondola to an elevation of 7,700 feet, guests savor American/European cuisine such as Cheese Fondue for Two, Braided Puff Pastry Salmon and Napoleon of Roasted Vegetables. Its central stone fireplace, and vintage photos of Sun Valley’s history enrich the ambience. Dinner Fridays and Saturdays. Overlooking the Gore Range, The 10th is Vail’s newest ski-in, ski-out fine dining experience. 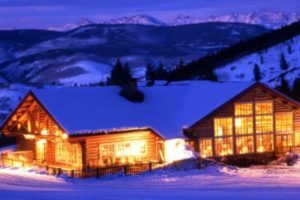 A nod to the World War II veterans of the 10th Mountain Division, including several of Vail’s founders, The 10th invites guests to arrive on Gondola One to enjoy a gourmet dinner atop Vail Mountain. With a focus on Modern Alpine classics, the cuisine is as impressive as the views. Dinner is offered Tuesday – Saturday. 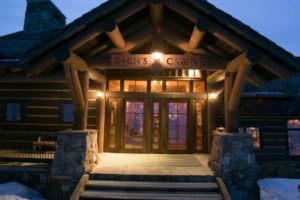 Serving American cuisine with a distinctly Pacific twist, Zach’s Cabin is a perennial favorite of Beaver Creek visitors. 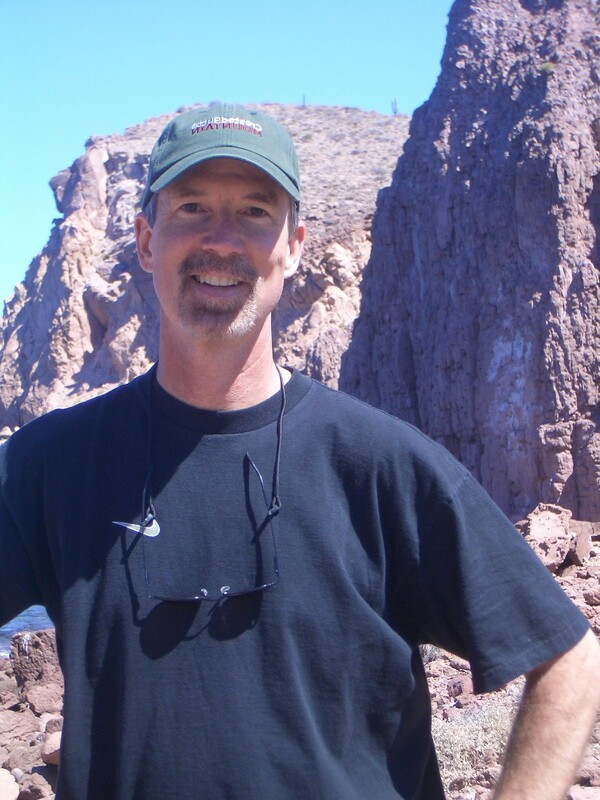 Executive Chef Tim McCaw, a Colorado native, favors fresh Colorado produce in his amazing dishes. Awarded the Wine Spectator Best Of Award of Excellence for five years running, Zach’s is accessed by a sleigh ride and can accommodate up to 110 guests. Dinner is served Tuesday – Saturday. Editor’s Note: Reservations are encouraged for these restaurants. When consuming alcohol keep in mind that the higher the elevation the more potent the effect (e.g. one glass of wine at sea level may feel like two or three glasses at 8,500 feet or higher). Ask if there is a child’s menu and associated pricing. Great article, I do enjoy a delicious meal once I’ve worked up an appetite from all that skiing. 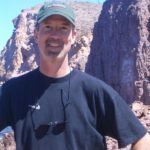 With that said, I don’t claim to be a scientist/researcher/ good source for this claim, I’m just a skier from Colorado who enjoys beer. It just seems like there is a lot of misconception on the topic. So I have a proposal, perhaps this is something that you could take a look into and clear up the confusion? I’d love to have an all encompassing article to reference on this topic. Well anyway, keep up the good work and have a great rest of your winter!